All images courtesy Tiny Heirloom. 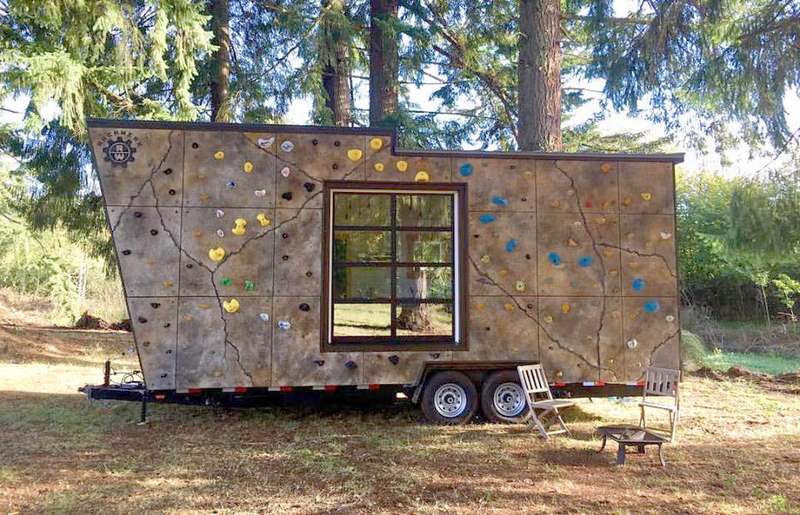 It’s just 28 feet long and less than 15 feet high, but this might be the most unusual climbing wall you will ever see. 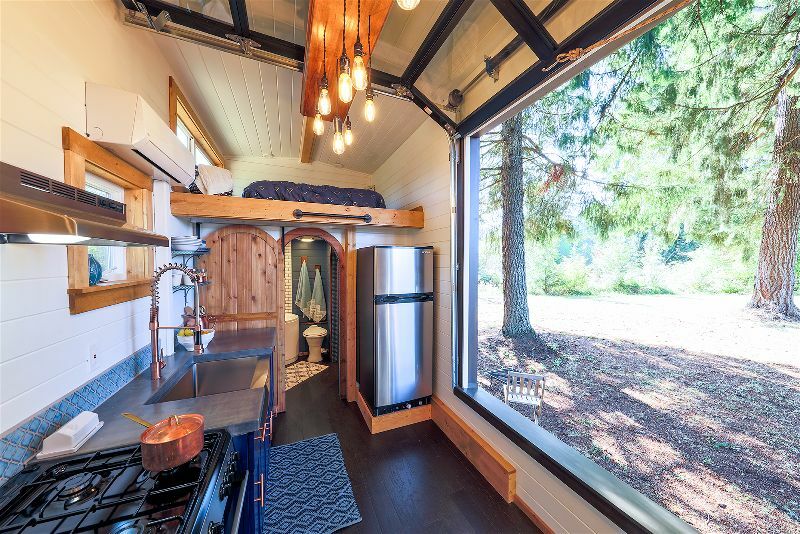 Portland, Ore., tiny-home builder, Tiny Heirloom, built the “Tiny Adventure Home” for a Mississippi couple who want to do a little climbing whenever they park. 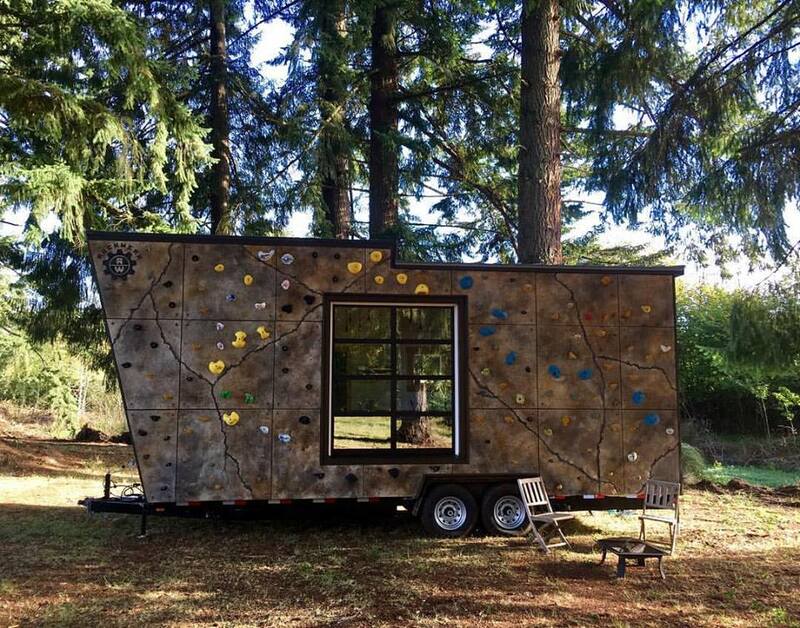 We’re not certain how fun this would be, but it’s a way to nab a workout literally on your home. According to Cassidy Newton, a representative with Tiny Heirloom, the house inside looks completely normal. It has a bathtub, full kitchen, and two lofts. 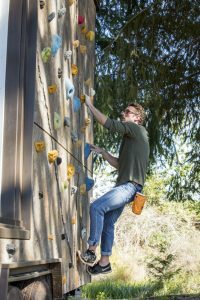 But outside is a maze of boulder problems crafted from artificial climbing holds. The company wouldn’t say how much the home cost to build. 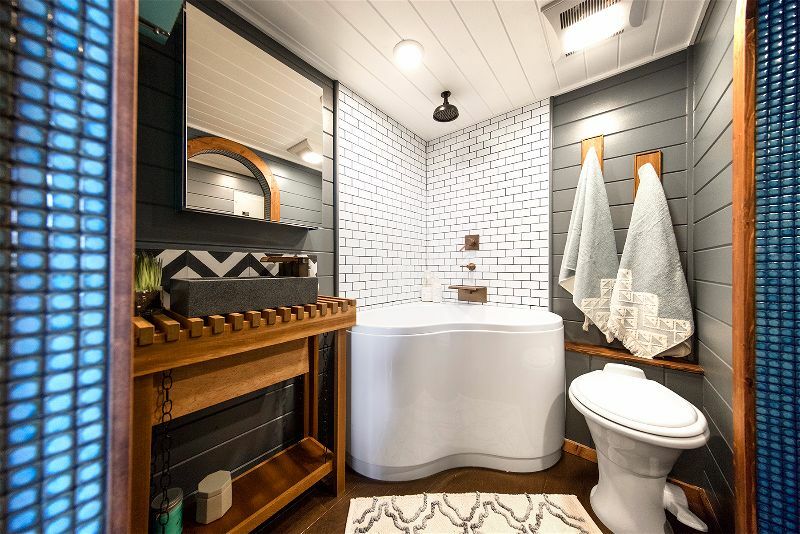 Other custom homes of similar size on its site list for around $139,000. 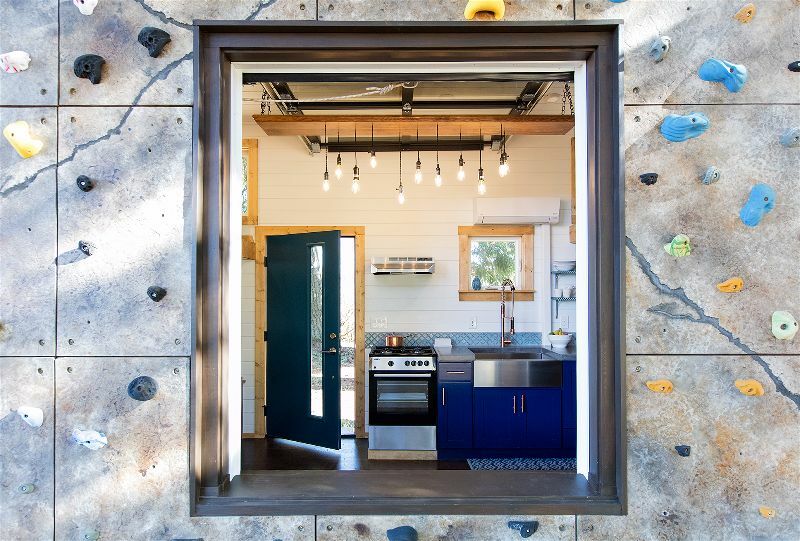 The exterior is covered with Rockwerx climbing panels. The 4′ x 4′ panels start at $800 each. 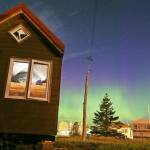 All told, this house looks to be around $150,000. For comparison, do-it-yourself builds and tiny-home kits can range from $20,000 to $60,000. For the crafty builder, it seems like the concept could translate to other designs. While pricey, this climbing wall-home will keep its owners in tip-top shape. 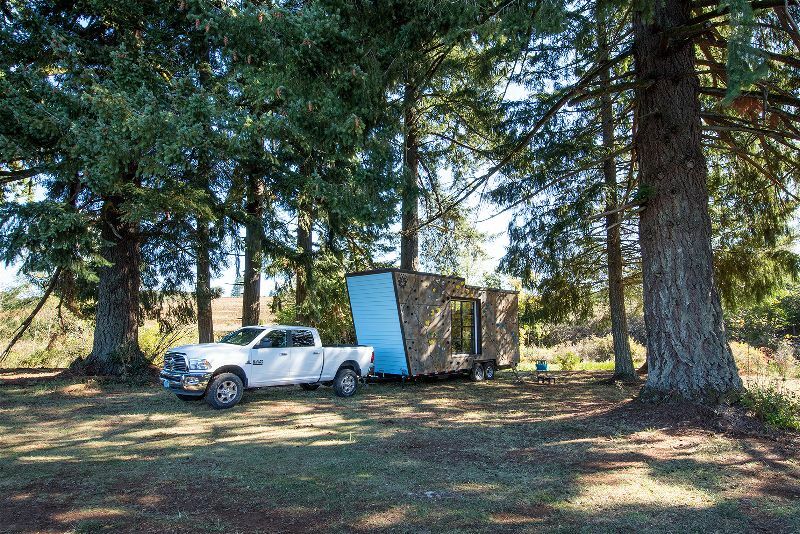 Learn more if you want a quick send anywhere you’re parked.